Paul Smith talks to the people who recall the early days of Soil & Health. They remained true to our principles through thick and thin – “for the love of it”. A couple of months ago I found a stack of old Soil & Health magazines in The Oddity, my local second-hand shop. All were from the year 1974 and could be bought, back then, for a mere 30 cents each. 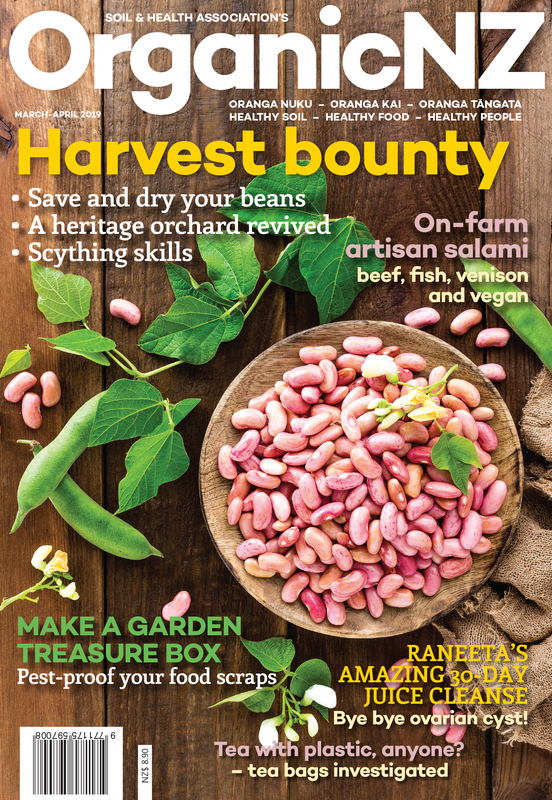 The fact that I paid only ten cents per copy belies the ongoing relevance of many of the issues covered in the magazine: the side effects of inorganic fertilisers, the importance of composting, fluoridation, gardening tips and more. The late Jack Meechin was then editor of the magazine – in fact, he edited the magazine for an incredible 27 years! Accolades come thick and fast from those who were involved in the Soil & Health Association at the time. Past president of the Canterbury branch, George Maslin, recalls that from 1954 when Jack Meechin became editor the magazine went from “strength to strength”. He says that through his enthusiasm and diligence, Jack Meechin laid the foundations of the Association and that “if it hadn’t been for Jack we might not have a Soil & Health Association now”. Jean Meechin remembers her husband spending hours working on the magazine, even taking material on holiday to work on. Of course, Jean couldn’t help but be involved, doing proofreading and other tasks. She fondly remembers attending Association conferences and visiting other members’ gardens and says there was a bond between people. “All the gang together” was what they called themselves. Not so flattering was the name given to them by others in the community, “the Mud and Muck Boys”. This is a reference to the Association’s humble beginnings as the Humic Compost Club formed in Auckland in 1941. Not long after, public demonstrations in compost making were given with up to 300 people attending and many subsequently joining the Club. Not that composting was socially acceptable, mind you. The composters were considered odd and the activity was frowned upon by most upstanding citizens of the time. Founder of the UK Soil Association and major influencer of The Compost Club in the early years. Jack Whitelaw, now 97, was president of the Canterbury branch of the Association in 1960-61 and recalls giving an address on the benefits of composting to Christchurch’s “city fathers”. His message didn’t meet with a cordial response, however he says it is gratifying to see the development of composting by the Christchurch City Council in recent years. Indeed, many councils throughout the country have wakened to the benefits of municipal composting, as have most New Zealand gardeners. Mollie Chalken points out, you’re more likely nowadays to be considered strange if you don’t make compost. Mollie has been the Soil & Health Association’s only woman president, from 1981-83, she also served on committees and edited several issues of the magazine. The universal acceptance in New Zealand of composting is “one of the great achievements” of the Association, says Mollie. Another victory is the widespread recognition of the symbiotic relationship between soil bacteria and plant health, otherwise known as mycorrhizal association. “In the 1970s when we were talking about mycorrhizal association the soil scientists laughed their heads off, now they are preaching it,” says Mrs Chalken, who has herself studied plants for many years and is an expert on companion planting. She also praises the Soil & Health Association for keeping the principles of organic farming alive over many lonely years. As president of the Association, she traversed the country visiting organic farmers, wrote articles and gave seminars. Her approach is inclusive and contrasts with several other past presidents who preferred not to engage with members of the agricultural sector who were sceptical of organics. 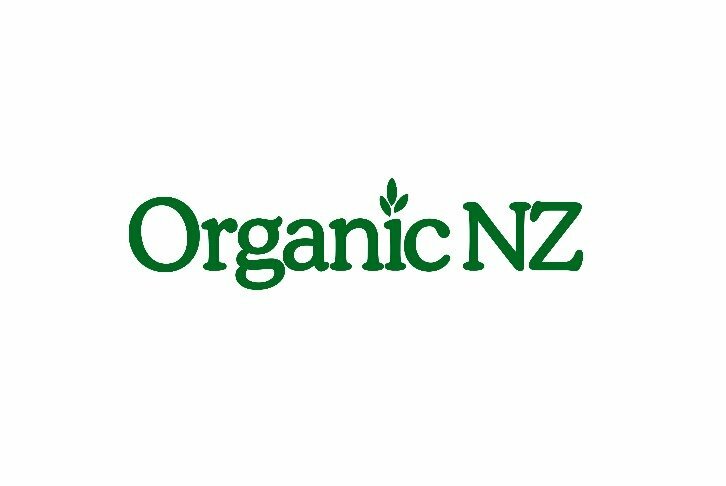 Instead she fronted up to groups such as Federated Farmers and while they weren’t convinced by the philosophy of organics, when it came down to the facts – such as a reduced vet bill – some began to take notice. Mrs Chalklen’s father was a member of the Association before she was – at the time she considered him “nuts” for belonging – and she tells how after he died a notice came in the mail advertising a talk by Dr David Penman. The talk was about beneficial insects and Mollie was “hooked first time”. She joined the Association in 1971 and has been a dedicated member ever since. Now 69, and showing no sign of slowing down, she prefers to operate on a local level. Apart from her involvement in the Herb and Horticulture Societies, Mollie and her husband have recently converted a four-acre block in Oxford, just out of Christchurch, to biodynamics. Previously dominated by gorse, blackberry and willow, the land will in future be an organic display garden. Four garden groups have visited in the last three weeks and there will be many more to come – including me. Invariably those involved in the Soil & Health Association are keen gardeners, including Pat and Trevor Wright in Motueka. Pat compiles the South Island garden notes column in today’s Soil & Health and has been interested in organic gardening for the last 20 years. Pat and Trevor have been members since 1970 and were originally given a subscription by their son. In the mid-80s they started a branch in Rangiora and, as South Island liaison officer, Trevor set up branches in Ashburton, Timaru and Invercargill to name a few. Everything was driven by motivation and dedication, and all grew out of entirely voluntary work. What kept the Wrights and the many other hardworking office bearers going all those years? Trevor simply says, “I believed in it,” meaning the principles of the Soil & Health Association. There was fellowship too; being part of a group with shared interests; the excitement of a new paradigm emerging, and much to learn. Everyone interviewed for this article remembered the conferences as highlights of their involvement. Mollie Chalken recalls a conference in New Plymouth in 1979 with particular relish. The humour at the conference was of “colonic” proportions. Apparently the speaker on colonic irrigation was so funny there were people on the floor in fits of laughter. Seriously though, Mollie says there was “tremendous purpose” at the conferences and no other organic-orientated organisation has had such a presence on a national level as the Soil & Health Association. For Trevor Wright the conference at Lincoln College in 1988, called “New Zealand’s Growing Future”, was a major highlight and a significant achievement. He and his wife, along with Bob Crowder and Rex Verity, organised the conference which was attended by over 600 people and, he suggests, was the largest conference on organics in the southern hemisphere at that time. Despite the media failing to turn up, the conference was a huge success. There have been disappointments: a small uprising of discontent at the cutting of “Pam’s Pages”, the popular garden and cooking pages in Soil & Health; a secretary absconding to South Africa with the Association coffers, branch rivalry. Though there may have been some hiccups over the years, Mollie Chalklen believes the Association has been very close knit, particularly on a local level. As George Maslin points out, it is the home gardeners who are the roots of the Association and despite the commercial focus of composting and organics in today’s society we shouldn’t lose sight of our personal relationship with the soil and consequently our health. The longevity of the Association is testament to the goodwill and enthusiasm of its members. For the older generation, it is gratifying to see young people getting involved, coming along to meetings, and taking the issues seriously. Jean Meechin’s four children are all committed to organics – they wouldn’t have it any other way. Slowly but surely the principles of healthy soil, healthy food and healthy people are permeating our society thanks to the dedication of past and present members.